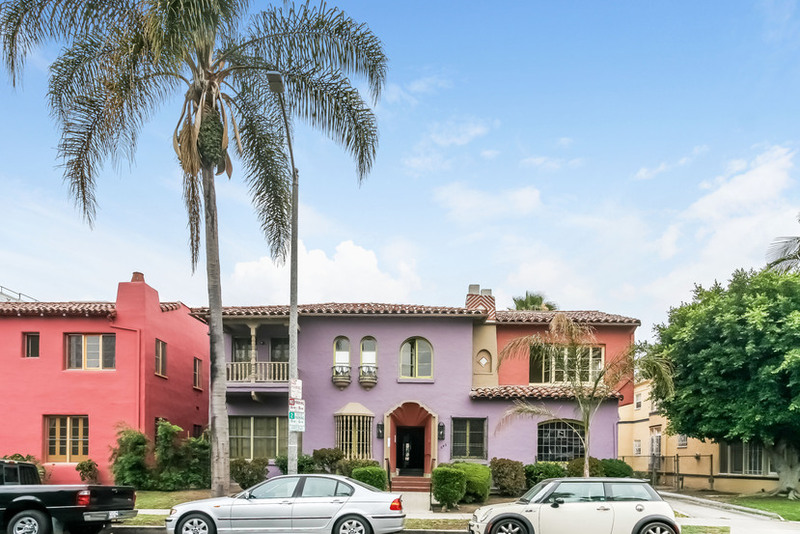 The historic 1930 Spanish Deco, Casitas de Cochran, purple, 643 South Cochran Ave. Miracle Mile, Museum Square, Wilshire and The Grove area. Large lower front with small dining room, brand new updated kitchen with stainless/granite, bathroom with separate shower and tub and original deco-tiled bathroom. Hardwood floors, high ceilings, updated lighting. Available approximately mid-August to September 1st, flexible as tenant relocating @ $2,195. Note: some of the pics could be from near identical units in the same property. There could be some color, material or details differences in this particular casita.